Save 20% Off Just About Everything at Hanna Andersson’s Shore Thing Sale at Washington Square! 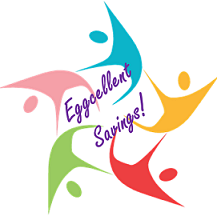 This Easter Bunny brings you “eggcellent savings”! Save $500 today! April Showers – Newborn Photography Sale with Katie Anderson Photography! Register Now for Summer Nanny Placement with A Brilliant Nanny! Free Lice Checks and Product Discounts at Lice Knowing You!